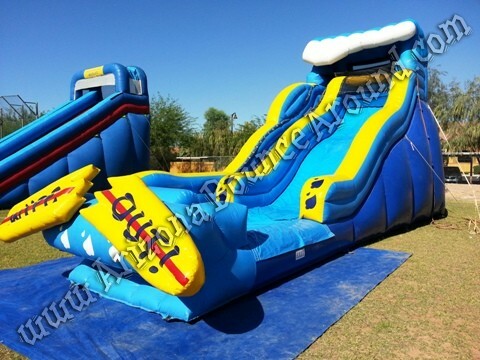 This amazing 19' tall Wipe Out water slide features a super fast sliding surface and easy to climb steps. This water slide has a bumpy or wavy slide surface giving the slider a much better ride similar to water slides at a water park. 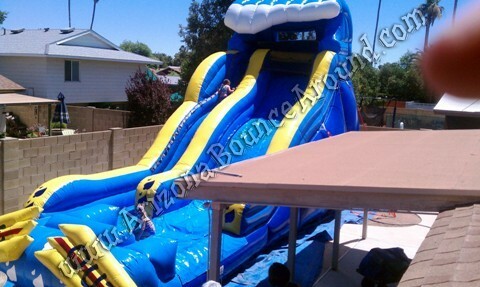 This water slide has a really shallow splash pool at the bottom so the water stays very clean while in use. This water slide must be set up on real grass in good condition. We also offer this in a dual lane version. 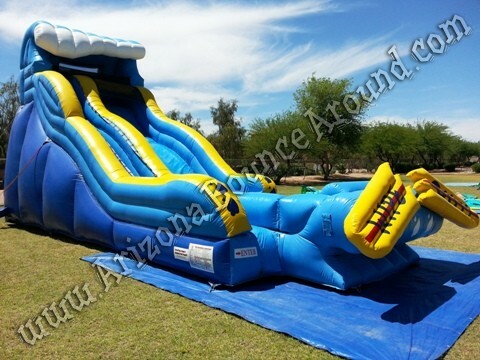 Gravity Play Events is your inflatable water slide rental super store with the best selection of inflatable slides in Colorado. 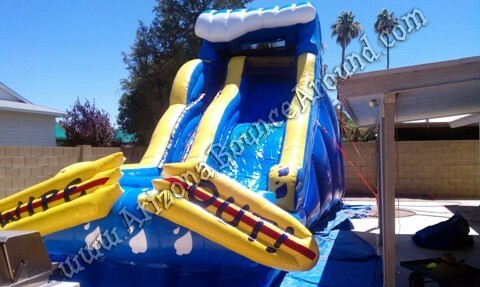 We have lots of similar size water slides like our Luau themed water slide and Rockin Rapids water slide. 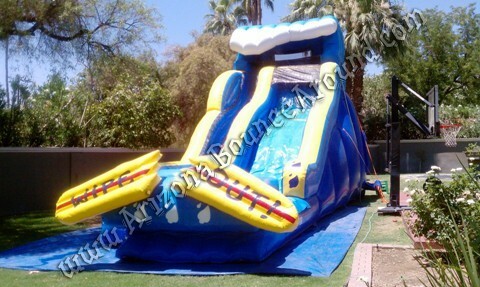 Our 19 foot tall Wipe Out water slide is perfect for kids of all ages. It features easy to climb steps with hand rails and a super fast sliding surface. This water slide has a unique splash landing area and no pool. This water slide has a unique drain system at the bottom so the water spraying from the top drains out at the bottom keeping the water slide clean, cool and fresh even at high traffic events. 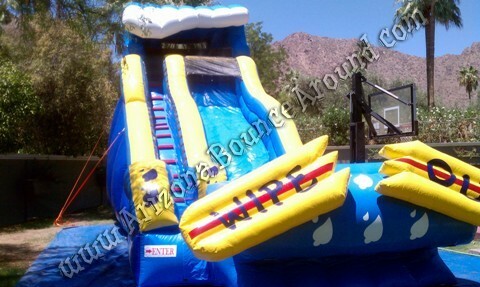 Our Wipe Out water slide has a really cool beach theme with the broken surf board on the front and crashing wave on top. The slide surface is bumpy giving the sliders a really fun ride to the bottom. 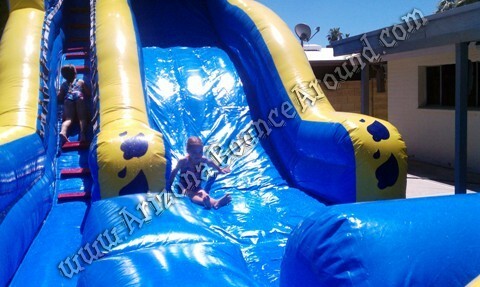 We have 3 of these slides available for rent so rent one today for your next party or event.